Are You Reading The Buff? For 20 pence a week, get a daily email of Leeds United news, comment and bare relevance, written by Moscowhite. 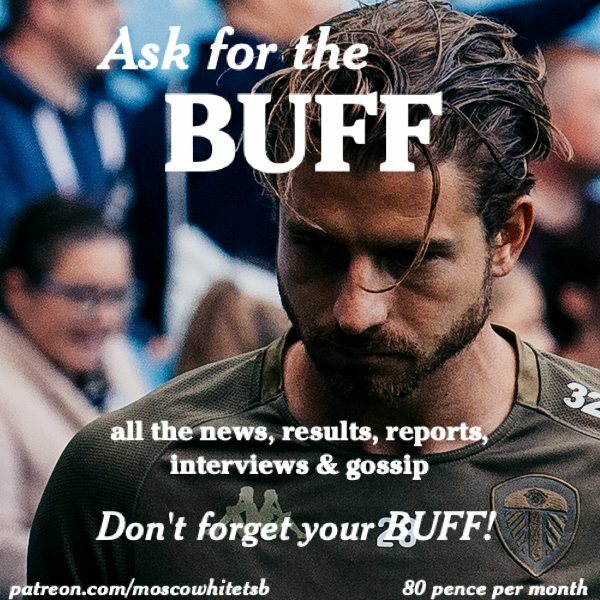 Sign up on Patreon to receive an email every day with almost everything you need to know about Leeds United. The Buff is read by more than 170 people every day and costs 20 pence a week, and when the pennies all add up they’re a great way to support my writing of match reports and columns that are available to read for free. If you really like my writing, you can sign up for other rewards on Patreon to receive exclusive articles or the MoscowCast, a podcast featuring audio versions of everything I write about Leeds United. Take a look and sign up here.